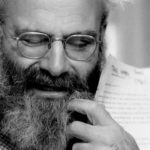 An account of one of the twentieth century’s major intellectual movements and the revolutionary thinkers who came to shape it. At the Existentialist Café is a bracingly fresh look at once-antiquated ideas and the milieu in which they flourished. Ms. Bakewell’s approach is enticing and unusual: She is not an omniscient author acting as critic, biographer or tour guide. As someone who came back to this material by rereading it later in life, she has made her responses part of the story. ...[a] vivid and warmly engaging intellectual history. It is an exemplar of the notion that 'books come from books.' This is a text that sings the writing life — of the existentialists, of their critics and of their biographers. This latest book is a skillful history of the existentialist milieu. Fascinating and well written, it will help many readers discover the likes of Sartre, Beauvoir and Merleau-Ponty. Unfortunately, its biggest claim, that these writers are once again relevant, remains seriously underdeveloped...Nonetheless, the liveliness and force of Bakewell’s book constitutes an argument of its own. 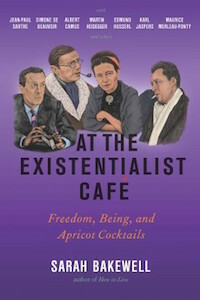 What did you think of At the Existentialist Cafe: Freedom, Being and Apricot Cocktails?